Kubota is showcasing a number of its industry leading industrial diesel and alternative fuel products at this year’s IMHX Show, demonstrating the company’s innovative solutions to the materials handling sector. This year will be Kubota’s inaugural appearance at IMHX, with the manufacturer being the only engine brand present at the show. Stand 12X72 will serve as the ideal platform to exhibit Kubota’s leading WG Series; WG1605 and WG2503 spark ignited alternative fuel engines, V3800 industrial diesel engine, the V3307 diesel ‘Power Pack’ and D1803 Turbo common rail diesel engine. 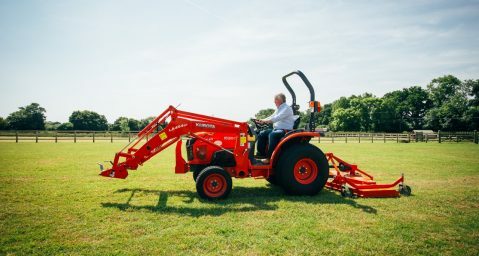 All engines on display boast the proven reliability and new technological innovations Kubota engines customers have come to expect. The alternative fuel ‘Large Spark Ignited’ (LSI) engines, such as the WG Series offers the option of using gasoline, natural gas, Liquefied Petroleum Gas (LPG) and Compressed Natural Gas (CNG) fuel types, ideal to power materials handling vehicles designed for enclosed environments, due to their minimal emissions output compared to standard diesel fuelled engines. The LSI range form part of Kubota’s ‘One Source, Multiple Solution’ approach towards the impending NRMM EU Stage V emissions regulations coming in 2019, which will bring many challenges to the traditional diesel engine industry as a whole. This will mean end users and Original Equipment Manufacturers (OEMs) will further evaluate alternative fuel types as part of their decision making process, whatever the application. Kubota’s new diesel ‘Power Pack’ options, such as the V3307-CR-TE4B-EU-Z5 model that will be on display at IMHX, have been specifically created to provide OEMs a complete package solution. The Power Packs are reliable, durable and compact units featuring common rail technology and state-of-the-art exhaust gas treatment in accordance with the upcoming Stage V legislation. Daniel Grant, Business Development Manager for Kubota UK’s Engines division, commented: “IMHX presents the perfect opportunity for Kubota’s Engine Division to show the materials handling sector why we are leading the way in preparation for the legislation changes coming in 2019. With our innovative and technologically advanced engines delivering a range of solutions for our OEM customers, we consider the materials handling sector as a big growth opportunity and look forward to showcasing Kubota’s solutions to further our presence within this key market. 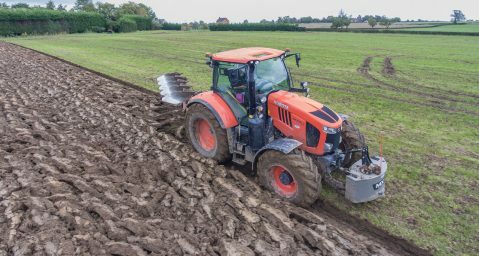 Kubota’s powerful STW40 compact tractor is making light work of duties at a smallholding in Southampton, following the recent purchase by owner Nigel Taylor. Tilley Park Farm is no stranger to seeking out niche opportunities to add value to its farm produce. 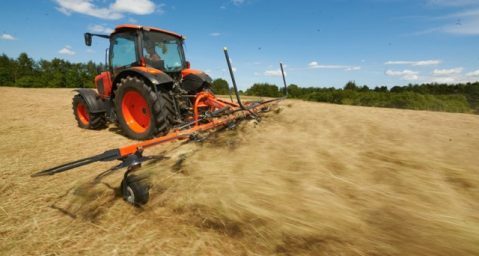 Kubota Agriculture is to strengthen its farm machinery portfolio with the launch of a range of Kubota-branded implements.